Dr. Andrea Cooper has a hypothesis: For the human body's immune system to combat a disease, cells must "talk" to one another. Cooper theorizes that if she can decipher the complex language of cell communication, then perhaps she can discover a password that unlocks the infected cells' defensive walls. That would allow the body's own "commandos," or T cells, to get inside and kill the infection. Cooper, a lead immunological researcher at the Trudeau Institute in Saranac Lake, N.Y., is trying to lay siege to one of humanity's oldest and most entrenched foes: tuberculosis. Known for centuries as the "captain of death," "the white plague" or simply "consumption" — for its tendency to wither its victims over months or years — the bacterial disease is considered the greatest killer in human history. According to a February 2015 PBS special called "The Forgotten Plague," by the dawn of the 19th century, TB had claimed the lives of one in seven people who'd ever lived. Despite the past 60 years of breakthroughs in antibiotics and drug therapies, TB has yet to be conquered; if anything, Cooper says, the disease continues to evolve and grow stronger, constantly spawning new, extensively drug-resistant strains. Today, three billion people worldwide are reported to be infected with TB, 90 percent of whom show no symptoms of the disease. New infections occur at a rate of one every second. "It is one of the major public health issues in our community, and when I say 'our community,' I mean the world," Cooper says. "So it's not 'their' problem. It's our problem." Cooper, a native of Lancashire, England, works in a facility that's at the forefront of tackling that problem. 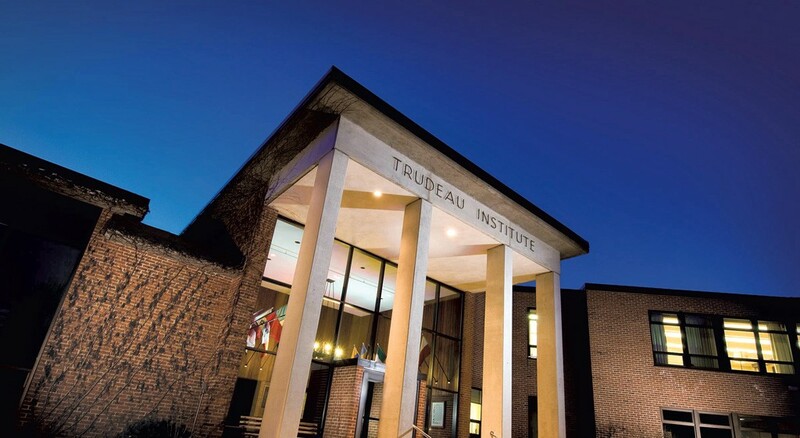 The Trudeau Institute has a long history of discovering new methods of combating TB and many other infectious diseases. The nonprofit biomedical research facility was founded in 1884 by Dr. Edward Livingston Trudeau (1848-1915) — great-grandfather of "Doonesbury" cartoonist Garry Trudeau. A New York City physician and self-taught scientist, Trudeau was the first American to isolate Mycobacterium tuberculosis in a lab. 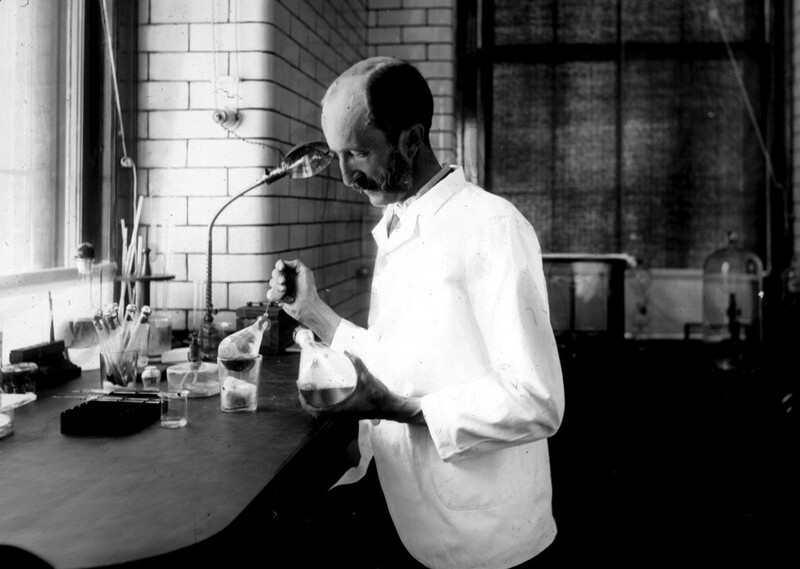 His discovery revolutionized our understanding of how infectious diseases arise and spread. Today, the Trudeau Institute, which is located on a 42-acre campus overlooking Lower Saranac Lake, remains at the cutting edge of immunological research into the treatment and prevention of infectious diseases. Besides TB, subjects of study there include influenza, cancer, bacterial sepsis and a drug-resistant form of Acinetobacter baumannii, or "Iraqibacter" — named for its appearance in the deep wounds of American soldiers injured in the Iraq war. As president and CEO Ronald Goldfarb explains, the Trudeau Institute also faces challenges unrelated to the never-ending germ warfare raging at the microscopic level. In the past decade, the institute has struggled financially, as much of the federal funding that once supported this and other independent research labs dried up. Today, Trudeau, which operates on a modest $15 million annual budget, employs about 65 researchers and support staff, down from a high of 150 a decade ago. "Small, independent research laboratories in the United States are an endangered species," says Goldfarb, who joined Trudeau in 2013 in part to help it chart a new course. But things are turning around, Goldfarb insists, as the institute builds a more sustainable business model. That has meant moving away from some of the big-picture research that has long served to underpin major medical breakthroughs. In its place, he explains, researchers now do more "bench-to-bedside" research — or studies aimed at producing new medical products and procedures that benefit patients in clinical settings. That course correction could be seen as marking a return to the institute's roots, as E.L. Trudeau's own work began with the pragmatic goal of healing sufferers of TB — including himself. In June 1873, Trudeau, then a 25-year-old physician in New York City, traveled to Saranac Lake to live out what he believed would be the final days of his life. Trudeau had just been diagnosed with consumption, which had claimed the life of his older brother seven years earlier. At the time, doctors believed that TB was hereditary or caused by dangerous vapors in the air. In those days, Saranac Lake was a remote and sparsely populated outpost in the middle of a vast wilderness, explains Amy Catania, executive director of the nonprofit Historic Saranac Lake. The town's population was only about 400 people — it's about 5,000 today — and most were loggers, guides, miners or fishermen. After several months of living in the Adirondacks, Trudeau found his health improving dramatically. He gained weight, ate better and had more energy. When he returned to New York City, however, he quickly relapsed. Convinced that something about the mountainous environment was boosting his health, Trudeau moved his family up to Saranac Lake and set about seeking a cure for TB. Around that time, Trudeau came across an obscure research paper by a German scientist named Robert Koch. Koch had identified a rod-shaped bacterium that he proposed as a possible cause for consumption, a theory his contemporaries ridiculed or ignored. Unfazed, Trudeau set out to re-create Koch's experiment in a makeshift home lab that lacked basic amenities, including running water. After numerous failed attempts, in 1884 Trudeau finally succeeded in isolating the TB bacilli under a microscope. He wrote up his findings — but, like those of his German predecessor, they went ignored by other physicians for years. In the meantime, Trudeau became an ambitious promoter of his TB therapies. He built the nation's first tuberculosis sanatorium and research lab in Saranac Lake — the building still exists today — as well as dozens of "healing cottages" where consumptives could rest, eat well, breathe fresh air, get plenty of sunshine and regain their strength. Though only a third of Trudeau's patients recovered, his methods were soon replicated around the country in the form of hundreds of similar TB sanatoriums. From the 1880s until Trudeau's original facility finally closed in 1964, more than 60,000 people traveled from around the world to Saranac Lake. As Catania points out, Trudeau became not only the town's first physician but also its first mayor. He even built the church across the street from his lab, aptly named Church of St. Luke, the Beloved Physician. In a sense, Saranac Lake is the town that TB and Trudeau built. One of the founder's original healing cottages from 1884 still stands on the campus of the Trudeau Institute. It's about two miles from downtown Saranac Lake and Trudeau's original laboratory, now the Saranac Laboratory Museum. 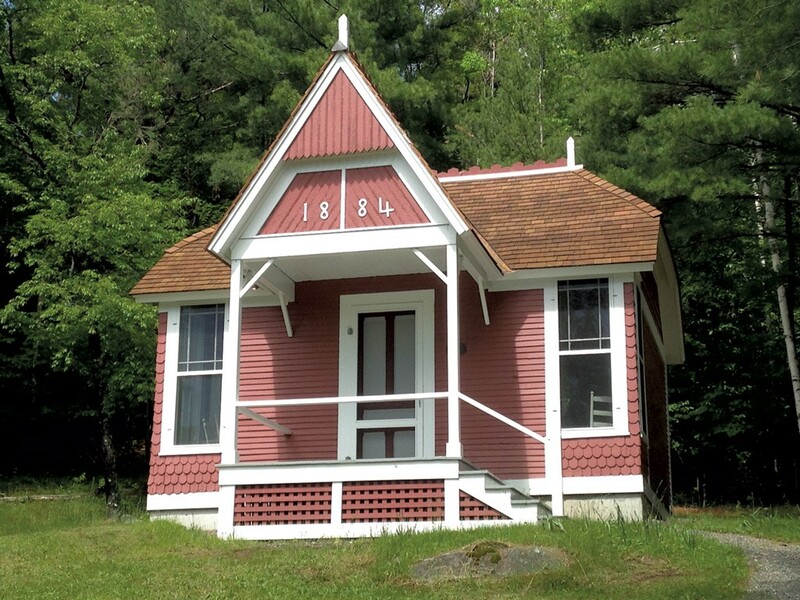 The healing cottage, dubbed Little Red, once housed sisters Alice and Mary Hunt, factory workers from New York City who contracted TB and moved to Saranac Lake to recover. As researcher Cooper gives a reporter a tour, she notes that many of Trudeau's original instincts about TB were scientifically sound. Believing that patients benefited from exposure to sunlight, for example, he had his sanatorium and healing cottages built with large windows and porches. That approach is consistent with the later discovery that the sun's vitamin D boosts the body's immune system. After the turn of the 20th century, once it became widely known that germs cause TB, people often avoided anyone known to be infected. As Cooper explains, that isolation of TB patients in Trudeau's time could cause them to develop not just depression but also a physiological response known as corticosteroid stress, which reduces the body's ability to fight disease. In short, Cooper explains, being shunned made TB sufferers even sicker. The experience of arriving in Saranac Lake and finding a supportive social network typically alleviated this dangerous stress. The move from the city to the Adirondacks was restorative for other reasons, too. As Cooper points out, "TB was, and still is, a disease of poverty." It thrives among residents of cramped, overcrowded quarters with a dearth of fresh air and natural light. Although streptomycin and isoniazid, which are used to combat TB, weren't discovered until the 1950s, the incidence of TB actually dropped dramatically throughout Europe and North America from 1900 to 1940. The reason is simple: "I call it the suburban cure," Cooper says. "People were no longer living on top of each other." Walking through the Trudeau Institute's high-tech laboratories, one can see clearly how much has changed since the days when its founder had to build his own thermometers to incubate his samples. Today, researchers have powerful tools at their disposal, from the egg incubators they use to grow influenza viruses to a laser-guided device that can separate and sort individual cells at a rate of 10,000 per second. The institute's low-key ambiance belies the deadly biohazards housed within. 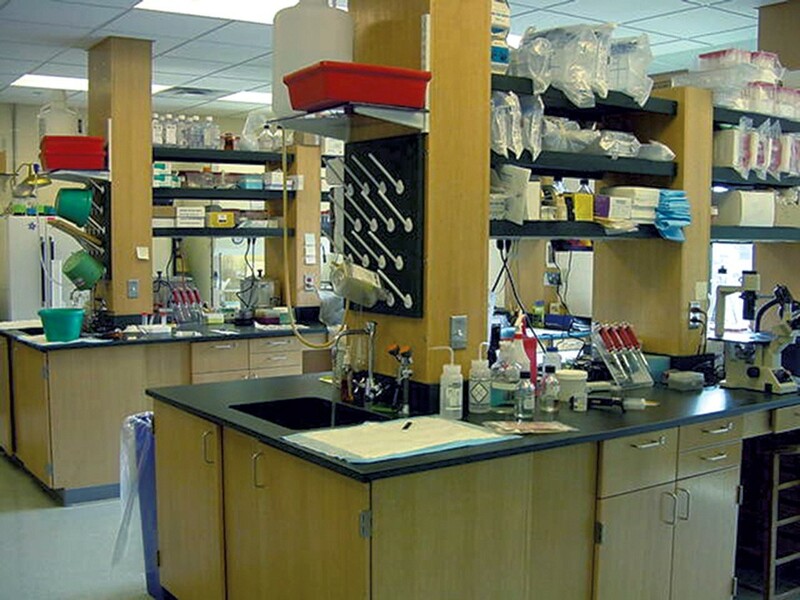 Each lab is given a biosafety level ranging from 1 to 3, with higher numbers indicating greater danger. Though the Trudeau Institute has no level 4 labs, which the Centers for Disease Control and Prevention reserves for the world's most virulent pathogens, the institute's "select agent" level 3 lab houses some very nasty bugs. They include Yersinia pestis, aka bubonic plague or "Black Death," which wiped out a third of Europe's population between 1347 and 1353. "TB will kill you, but it'll take six months to do it," Cooper says. "Yersinia will kill you in three days." Currently, Cooper is trying to find a marker that will identify which of the three billion people infected with TB will develop the disease, thus enabling doctors to treat them before it erupts. She admits that her interest in Mycobacterium tuberculosis is driven less by a burning desire to "save the world" than by pure scientific curiosity. "Of course I'd like to [save the world], but it's just a fascinating bug," she says. "It's been with us for 50,000 years." According to one hypothesis, Cooper notes, it was TB that indirectly caused humans to lose their skin pigmentation as they moved north out of Africa — they needed increased amounts of vitamin D to control the disease that came with them. "As a scientist, you don't pursue a disease. You pursue information," Cooper says. "You always want to know how things work. So you take it apart to understand how it works." It's a sentiment Trudeau himself might have expressed. The original print version of this article was headlined "Germ Warriors"